This PDF 1.5 document has been generated by Microsoft� Office Word 2007, and has been sent on pdf-archive.com on 19/01/2011 at 02:32, from IP address 75.27.x.x. The current document download page has been viewed 891 times. in forming over the decades. Hand in Hand – L.A.C. Pas./Alt. 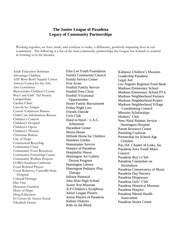 Chapter of Links, Inc. This file has been shared by a user of PDF Archive. Document ID: 00027945.